Every day, life pulls us in all kinds of directions. 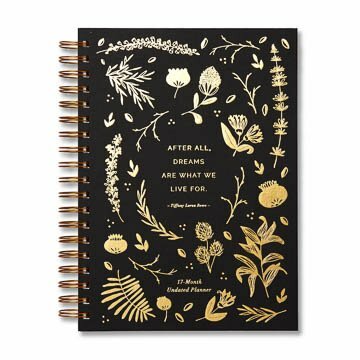 This 17-month undated planner is a place just for you—an inspiring space to define your priorities and achieve them. It is a home for everything important—a place to dream and embrace your excitement for what lies ahead. 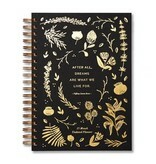 This planner features beautiful words, uplifting quotes, and plenty of space to capture what matters most. With weekly and monthly calendar views, dedicated pages for longer-term dreams and aspirations, and blank pages for notes and lists, this is the perfect place to organize your world and the life you are creating.